Ted .. if you’re going to eat all that chocolate at least you can eat something that has good ingredients, is good for the planet, and tastes good .. said The Doll. 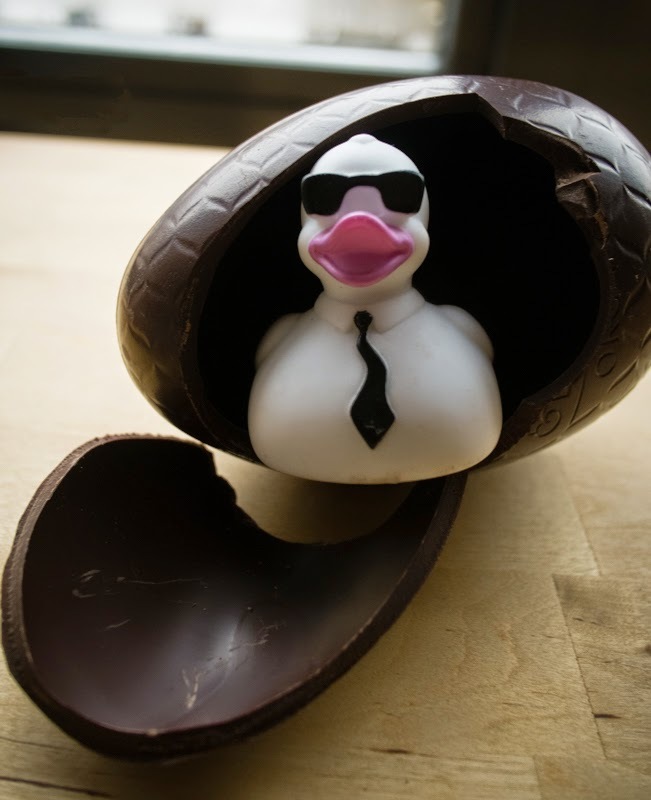 Of course I knew this was a trick right away, and a thinly disguised attempt to disrupt my training schedule for my annual challenge on the Guinness Book of Records 4 day Easter chocolate consumption world record ... as surely there can be no such thing existing in the heavenly world of chocolate decadence! But … apparently it’s true. 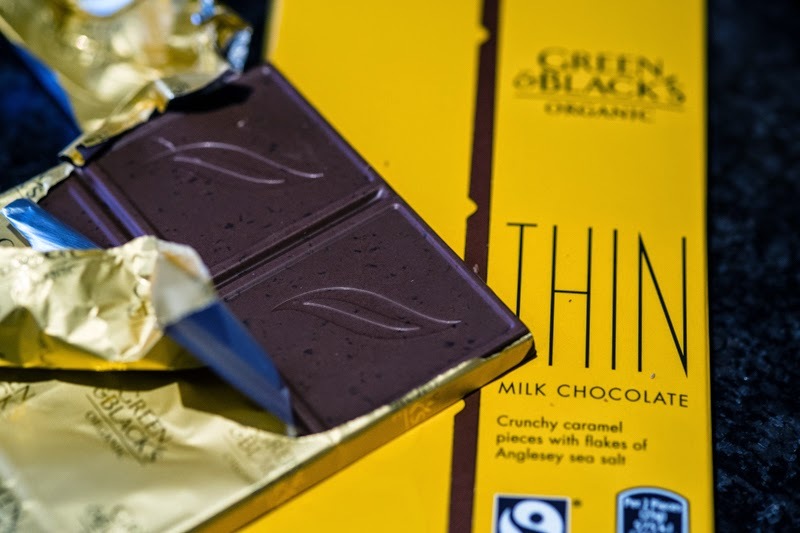 It is possible to get chocolate made from organic ingredients sourced from fairtrade growers who follow sustainable practices, which tastes good, and looks good as well. The Doll came home with a selection for me to try from Green & Blacks to prove her point. G&B started out 23 years ago in the Portobello Road flat of husband and wife team Craig Sams and Jo Fairley, and right from the start their focus was on ethically sourced chocolate. 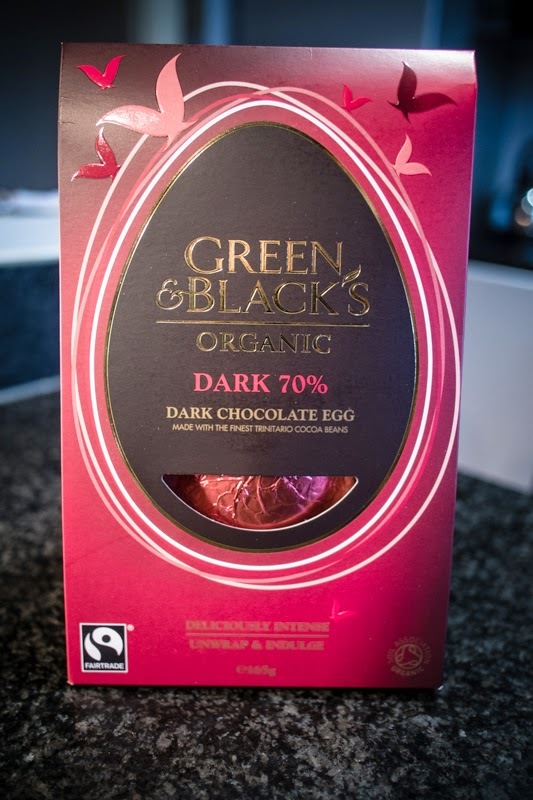 Their first 70% dark chocolate offering in 1991 went down so well that today they have over 19 varieties in their range, as well as seasonal Easter eggs in several sizes and flavours (duck extra). Their newest additions are called “Thin”. It’s a new concept of a thinner bar with bigger individual pieces, designed to stimulate your senses, from the satisfying “snap” when you break it, to being able to put it on your tongue and have it melt in your mouth. A chocolate connoisseur once taught me that if you chew chocolate rather than let it melt naturally in your mouth, it changes the flavour profile completely. You get a lot more of the volatile acids released in the chewing process and lose a lot of the real chocolate flavours as result (who knew). The unspoken hint of “Thin” is of course that you eat less but get even more enjoyment … see I told you I knew that The Doll had a trick in there somewhere …“Thin” comes in 4 kinds and The Doll got me the Salted Caramel and Milk Chocolate to try. The “snap” was indeed satisfying, and in fact I only stopped snapping when The Doll said to me “Ted what are you doing? .. it’s chocolate not bubble wrap!”… The flavours and textures I got from letting it melt in my mouth were equally satisfying. This is right up my alley! I do love chocolate and now that I've read this post, I feel like hunting some good chocolate down and devouring it. Chocolate….that's all I needed to hear. It looks so good! I love their chocolate, Mo! Admittedly, I prefer milk chocolate over dark. I went on a "chocolate stroll" last week (and posted about the couple who give the tours). One of the things I learned is that dark chocolate is healthier for us than milk chocolate. It has a higher concentration of cocoa powder and lower concentration of cocoa butter.